This Report is an Impartial University Curriculum requirement for Bachelor of Business Administration (BBA) Degree, assigned by my honorable Intern supervisor Nur Alam Siddik. This report will enable me to analyze and evaluate the various aspects of Planning, formulating and implementing a overall company’s CSR plan with emphasis on social developments as well as stakeholders empowerment. 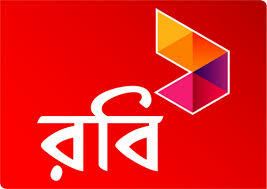 Axiata (Bangladesh) Limited is always committed to the society. To actively identify and start establishing Axiata (Bangladesh) Limited as a concerned entity devoted to the development of many social interests throughout greater Bangladesh based on four core values. These are enlightened through education, Assure better health, Protect environment and Fight with poverty. In recognition of its CSR effort, Axiata (Bangladesh) Limited is the first among all mobile phone operators to win prestigious “Standard Chartered-Financial Express Corporate Social Responsibility Award-2006”. Axiata (Bangladesh) Limited believes education platform remains the main focus to develop a nation as a shared concern with the society at large. Axiata (Bangladesh) Limited also focused towards the roaming street children found throughout Bangladesh. By becoming more aware of living & social community, Robi can certainly see so many areas to be involved in. Only through concerted efforts of the private sector, there will be emerged a socially responsible collective consciousness. We are there for you, where you want and in the way you want, in order to help you develop, grow and make the most of your lives through our services. If a financial services company wishes to comply with the Guidelines we would recommend taking the following steps:(1) Imbue vision statement with CSR philosophy.